Lab Sigma Mixer is compact model mixer suitable for small batches production having usage in research labs, institutes. Machine also uses in industrial application where high value products to be processed in small batches. Machine completely manufactured from Stainless Steel 316 materials with sturdy structure. We manufacture Lab Sigma Mixer in capacity ranging from 5 kgs. Up to 50 kgs. 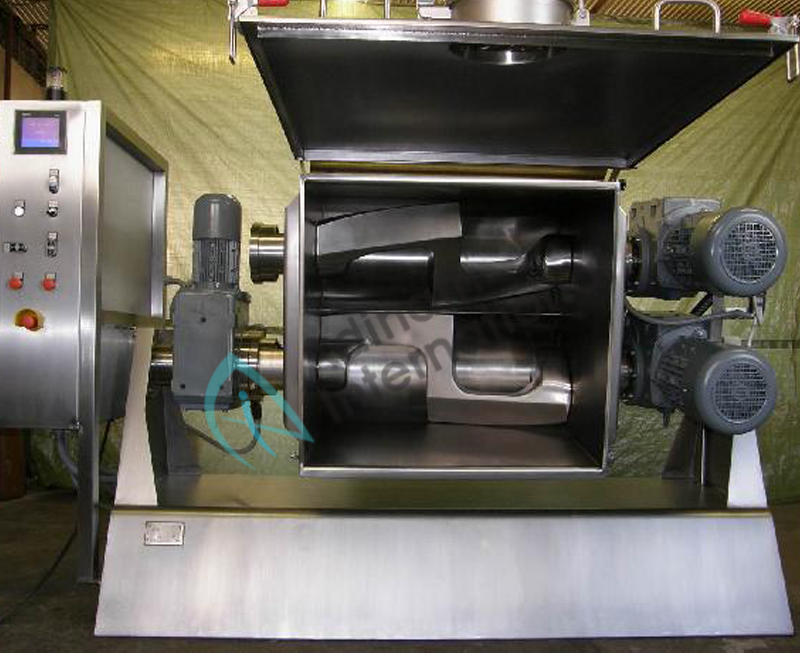 Lab Sigma Mixer is widely uses for mixing dough, acid slurry mass, plastisizer etc. Made from Stainless Steel 316 materials. Mache polish to mirror type finish. ASM – 10 10 Liters 16 Liters 1.5 H.P. ASM – 15 15 Liters 24 Liters 1.5 H.P. ASM – 20 20 Liters 32 Liters 2 H.P. ASM – 30 30 Liters 48 Liters 3 H.P. ASM – 50 50 Liters 80 Liters 5 H.P.